PRODUCT IS ENTERED AS A NOMINEE. SCORING AND EXPOSURE FOR NOMINEES. WINNERS ARE SUPPORTED IN A BIG WAY. The power of being on the winning team! A spot on our 6 month long exclusive winners PR campaign with hundreds of millions of multi-media impressions. A nationally distributed press release. 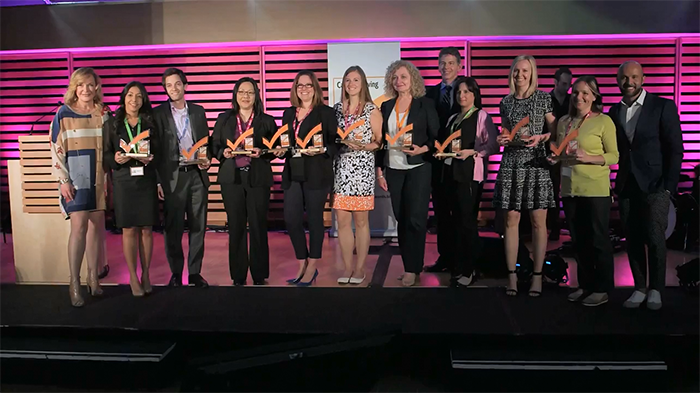 An invitation for you and members of your team to join us in celebrating the Best New Product Awards at an exclusive event in Toronto, Ontario. This evening includes food and drink, and an awards presentation, as well as the opportunity to network with leading brands in the industry.